There are certain checkpoints in the baseball season which are good gauges for which a team can determine whether they'll be buyers or sellers. First, Memorial Day Weekend has come and gone as Auto Racing fans had their share of excitement with the Indianapolis 500 along with the Coca Cola 600. 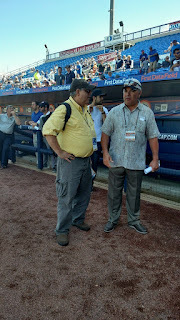 Second, there is Fathers Day and it won't be very long until the All-Star Break takes place in early July at Marlins Park in Miami. During Spring Training, the Detroit Tigers had high hopes that they would be playoff contenders as they nearly made the postseason in 2016. The Tigers brought back a familiar face in Lloyd McClendon to be their hitting coach. McClendon was a finalist for the job when Jim Leyland retired but Detroit hired Brad Ausmus to manage the club. McClendon would later manage the Seattle Mariners then proceeded to be fired after the Mariners brought in a different General Manager. McClendon told me that the only thing he would predict is that "we'll score a lot of runs." Time will tell during the course of the 162-game season whether McClendon's prediction comes to fruition. The recent loss of DH Victor Martinez due to an irregular heartbeat hasn't helped matters. To date, the Tigers record is 32-37 following a 6-2 loss Monday Night in Seattle against the Mariners. They're currently fourth in the AL Central ahead of the last place Chicago White Sox (31-37) by a half game. Detroit is 5.5 games behind division leader the Cleveland Indians (37-31). This is a division which is definitely there for the taking providing the Tigers can put together a sustained winning streak and then play more consistent baseball in the second half of the season. By now the Tigers problems are well documented as the lingering dilemma Detroit has faced the past several years remains a concern, The Bullpen. Former closer Francisco Rodriguez has been replaced by Justin Wilson. Shane Greene has done a nice job, while Alex Wilson has been solid at times. 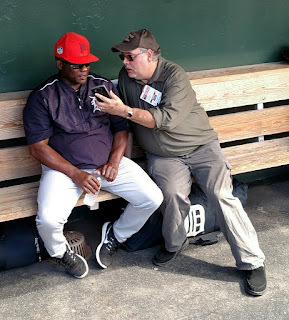 Detroit has had a Super Shuttle to Triple A Toledo as there has been plenty of movement as the Tigers continue to find answers for The Bullpen. Since trading away centerfielder Cameron Maybin to the LA Angels, there were hopes that Jacoby Jones could become his replacement. That hasn't transpired and Tyler Collins had an opportunity to win the job but he was sent packing to Toledo. The most common name who has been in centerfield is Mr.Versatility, Andrew Romine. This is a guy that hit a grand slam homer early in the season then was drug tested and he passed the test. No harm, no foul. Romine could have played in any era even at a time when there was a 24-man roster many years ago. For a team loaded with many high profiled players, this guy is so valuable because he plays so many positions. The only position Romine has never played is catcher. During Spring Training, I spoke with Romine and he took a lot of pride about this and he said, "I'll do whatever it takes to help the team. I enjoy playing different positions because you get a different perspective of each game and are exposed to different positions." When I asked Romine about playing catcher, he smiled and laughed then said, "One of these days I wouldn't mind catching. But it would have to be the right situation for Brad (Ausmus) to do this." 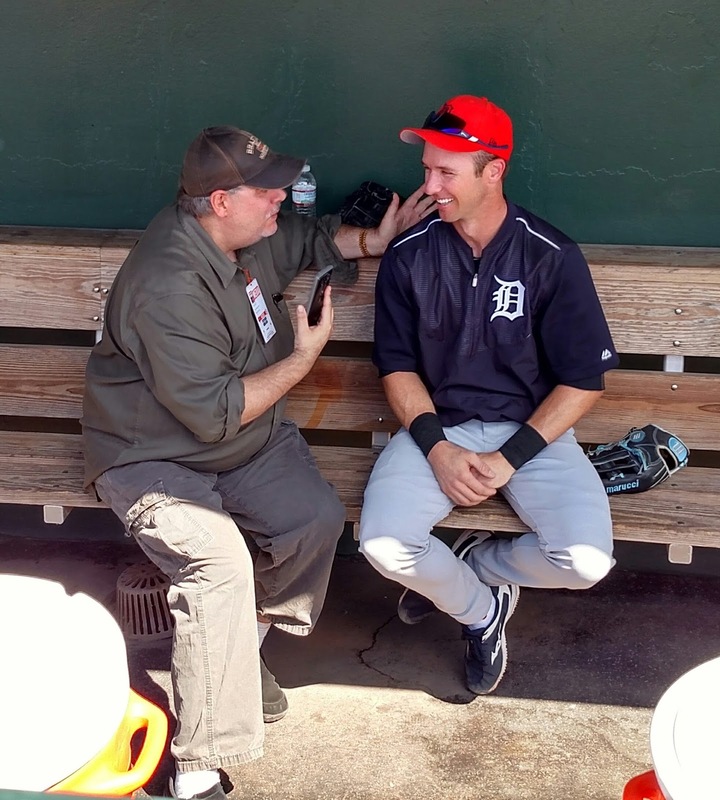 One of the interesting story lines in Spring Training was Detroit experimenting with the idea of converting outfielder Andrew Gose to a relief pitcher, figuring it would be an everything to gain and nothing to lose approach. Ausmus said that he figured "Anthony would be a one inning pitcher, not two. We'll just see what happens." Gose is currently pitching for the Lakeland Flying Tigers in the Florida State League, Detroit's Advanced Class A- Affiliate. It will be interesting to see how this experiment plays out as time progresses. Since the passing of Owner Mike Ilitch on February 10, 2017, it has been an emotional year for the Tigers. There have been patches on the team's jersey's, as well as tributes on the team's flag at Comerica Park and in the on deck circle. Ilitch's Son Chris is running the show and now it remains to be seen what will happen in his regime. Tigers Bench Coach Gene Lamont said, "It will be an emotional season for us. Mr. Ilitch meant so much to the city, fans, and everybody around him. I enjoyed working for Mr. Ilitch. He's treated me great and wasn't afraid to spend the money to make us an upper echelon team." There is no question that the Tigers have a lot to do to make the playoffs and over the next month or so we'll find out whether J.D. Martinez and Ian Kinsler will be playing in new area codes and perhaps others. Unfortunately for the Ilitch family, the Detroit Red Wings 25-year playoff streak came to an end this Spring. But Manager Brad Ausmus and General Manager Al Avila definitely have a lot of work to do and it seems like they have their work cut out for them. I and everybody else will be curious to see how the Tigers Race For Survival Turns Out to make the playoffs, or whether they'll be headed for a long rebuilding process.